There’s something about homemade soups, chilies, and stews that make them the perfect comfort food. Feeling sick? Eat some soup. Feeling tired? Eat some chili. Feeling cold? Eat some stew. It just makes everything better. So, it’s always nice to have a good, easy homemade recipe on hand for when comfort is needed! 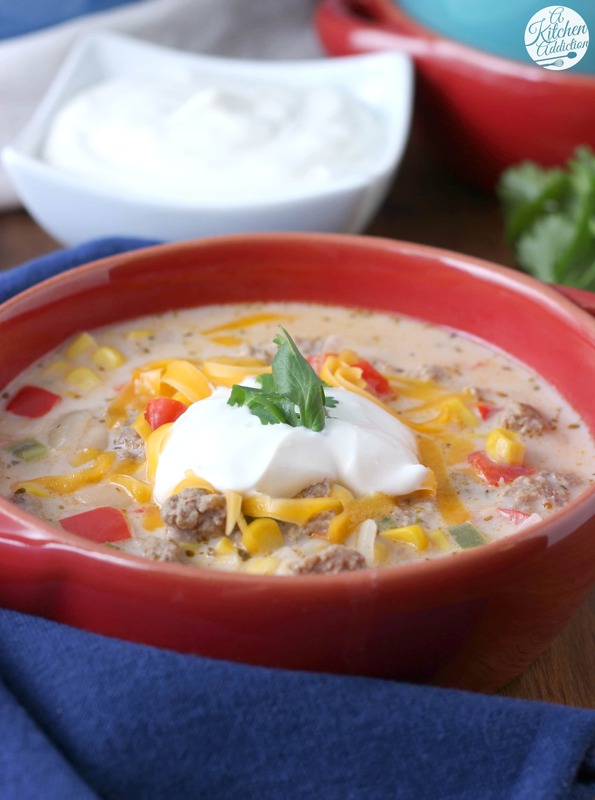 This loaded white turkey chili is just that. Apart from a bit of prep work, this chili is pretty hands off and doesn’t require hours of sautéing, cooking, simmering, etc. I started with pre-cooked meat, because I like to blot and drain my meat to keep it as lean as possible. But you could even cook the meat in the same pot as everything else and have one less dirty dish! 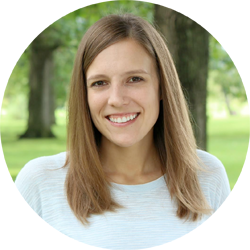 I’m all for eliminating as many dirty dishes as possible! I’m also all for making prep and serving as easy as possible. Thanks to some handy tools from OXO, I was able to do just that. Their new Ground Meat Chopper and Turner made it easy to break up and cook the ground turkey in a non-stick pan without worrying about scratching the pan. The silicone edge made it easy to scrape the meat out of the pan and into the Dutch oven. With it being heat resistant up to 400 F, I didn’t have to worry about it getting too hot, either. And while that was great, I really liked the Vegetable Chopper with Easy-Pour Opening. It keeps the mess all in one place (or am I the only one that finds it hard to keep all of my chopped vegetables on the cutting board while I’m prepping because I don’t want to dirty another bowl to put them in?) 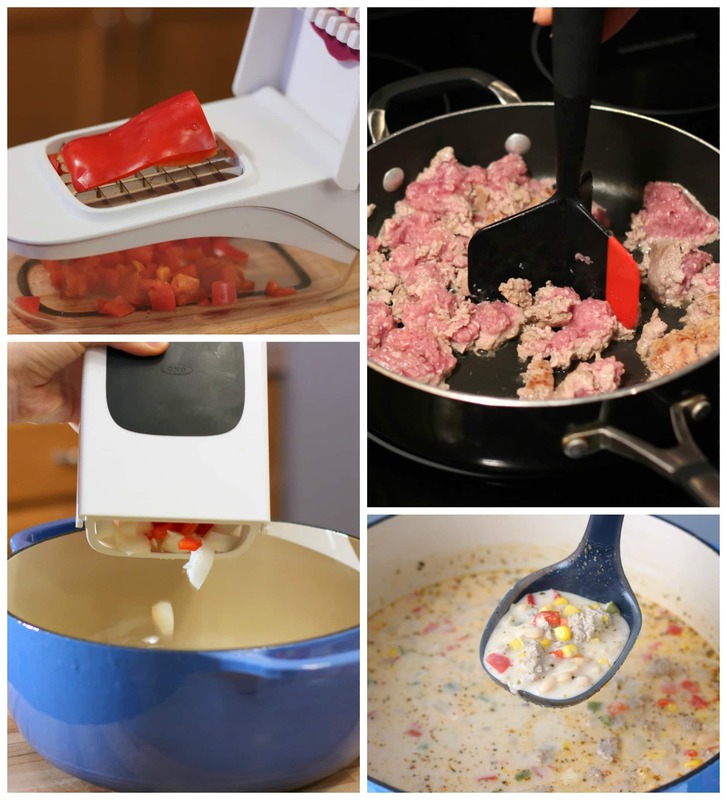 and makes it easy to pour your chopped vegetables into wherever they need to go! I don’t think I need to say anything else! Oh, and chopping onions? So much easier and tear-free, since all it takes is a couple of chops in the chopper as opposed to cutting it all up by hand. So nice. Since this chili contained a large onion, and I’m prone to getting watery eyes, I was pretty happy about not having to go through the whole burning eyes ordeal. Along with the flavor from the onion, you’ll also find red bell pepper, jalapeño, corn, white beans, and garlic. Some cumin, cayenne pepper, and oregano also add a bit of a kick to the chili. 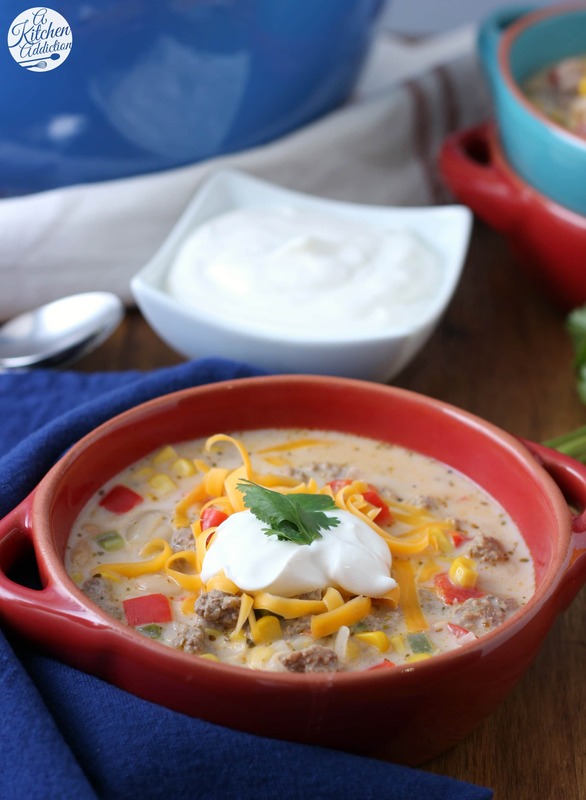 A hearty chili that provides just the comfort you’re looking for! And to keep the dirty dishes to a minimum, we served the chili directly from the Dutch oven using a perfect-sized Silicone Ladle with flexible edges that both allowed us to easily scrape the sides down and didn’t scratch the insides. But don’t forget to serve it with some cheddar cheese, sour cream, and fresh cilantro! The garnishes tie all of the flavors and textures together perfectly. So serve up a big bowl the next time you’re looking for a little comfort! In a 6 quart Dutch oven, heat olive oil over medium heat. Add in onion, red pepper, jalapeno, and corn and cook until vegetables start to soften, about 5 minutes. Add in garlic, turkey, cumin, oregano, broth, and 1½ C beans. Bring to a boil. Reduce heat to medium low and simmer for 20 minutes. Mash together milk and remaining beans. Add to chili. Salt and pepper to taste. Cook uncovered for an additional 15-20 minutes, or until chili thickens. Disclaimer: I received product from OXO for review purposes only. All opinions are my own. Chili is definitely the perfect comfort food! I always crave it in the winter. This white turkey version sounds SO good! I agree – soup, stews, and chili make everything better! Also – I need that veggie chopper…I always make such a mess when cutting vegetables! 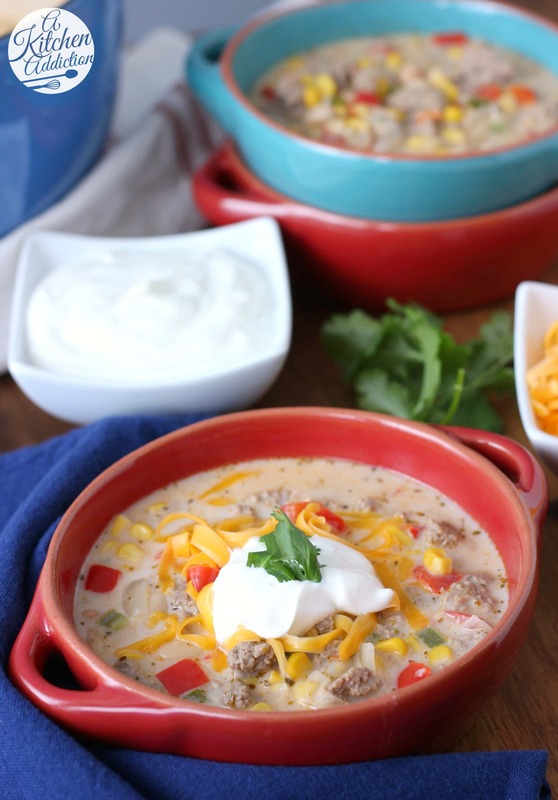 This chili looks amazing – the perfect comfort food! Okay I totally need that onion chopper. I am the QUEEN of watery onion eyes. And you are so right, chili and stew are the BEST when you are sick or tired! This looks amazing! This is just a Warm comforting bowl that’s perfect for these winter nights. 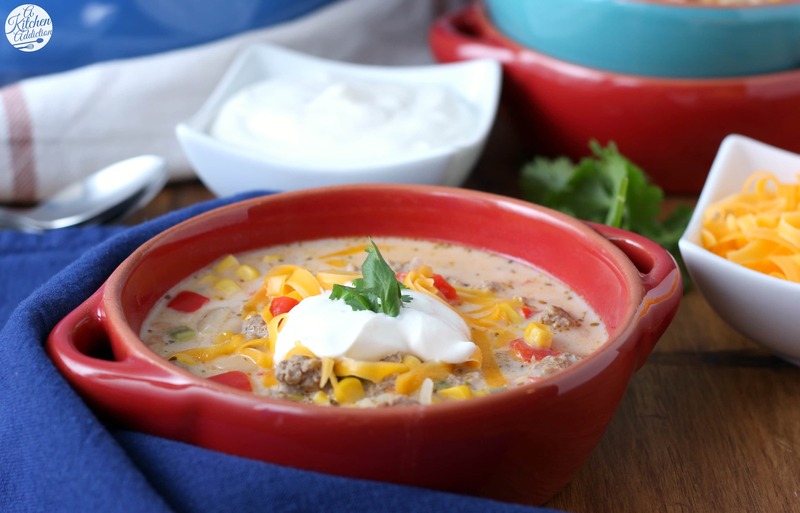 Chili is the ultimate comfort food especially during this time of year! I love how hearty this is! Looks delicious! I’ve really been loving white chili this winter! And this looks so cozy and comforting! I hope you had a great weekend Jessica!! There is nothing that a big bowl of thick chili can’t cure, especially in these dreary cold days! Love this! What a hearty, yummy soup!